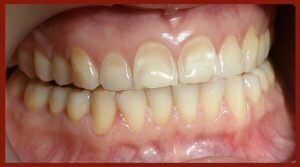 Keeping your teeth strong and free of decay depends on a balance between two continually occurring processes, demineralization and remineralization. Demineralization occurs under acidic conditions, especially when minerals levels are low. Calcium and phosphate end up being leached from the outer surface or enamel of the teeth. Fortunately, demineralization is counterbalanced by the process of remineralization – restoring the minerals lost through demineralization. Saliva is the natural delivery system for those minerals. Not only does it deliver new calcium and phosphate to your teeth; it neutralizes any acids in your mouth. And if those minerals aren’t completely replaced? The result is tooth decay, starting with a weakening of the teeth caused by the continual loss of minerals from the tooth’s enamel. In its early stages, tooth decay can be reversed by pushing the balance back toward remineralization. If this isn’t done, the decay will continue until the enamel of the tooth is breached. The decay them starts to invade the next layer of the tooth, the dentin, and a cavity results. Over the years, various dental technologies such as MI Paste have been developed to promote remineralization. And recently, we heard about a new one, which uses bioactive glass to remineralize teeth. Normally, glass is inert and not recognized by the body. Bioactive glass is different. It’s made up of calcium and phosphate in proportions equivalent to those found in the hydroxyapatite present in bone and teeth. Because of this, bioactive glass can interact with body tissues and is commonly used in bone grafts, scaffolds, and dental implants. Used in a toothpaste, the bioactive glass easily dissolves to release calcium and phosphate. The released minerals then react with saliva to form a new mineral, which then repairs and strengthens the tooth by replacing the calcium and phosphate lost under acidic conditions. While most folks think “dairy” when they hear “calcium,” there are lots of good non-dairy sources of this mineral, including salmon and sardines, dark leafy greens, almonds, seeds, and more. Those dark leafy greens, by the way, are also a great source of most of those fat-soluble vitamins – all of them except D, which your body makes itself through exposure to sunlight. Meanwhile, phosphorous is found in most foods, but foods such as dairy, fish, fowl, beef, lentils, and almonds are especially rich in this nutrient. At the same time you get all the good stuff into your diet, it’s just as important to cut back on the acids and sugars. For just as you do more of what supports remineralization, you want to cut back on what speeds up the demineralization. As ever, it does little good to treat a symptom without addressing its cause.